Rotaract | SLO had the honor and privilege of being a part of a truly inspiration two day event, Run the 1. 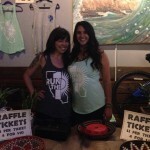 Run the 1 was an event centered around raising money for street children in Rwanda. Our fellow Rotaractor, Shaun Sullivan, had been visiting Rwanda since 2008, and in 2010 decided he wanted to become more involved with the street children. He began helping with the home and an organization, Ubaka U Rwanda. When he returned from Rwanda, he thought about ways to raise money and settled on the idea of walking from San Luis Obispo to San Francisco in two days. A few people joined him on the walk and through sponsors and the support of their friends and family, were able to raise over $6,000. 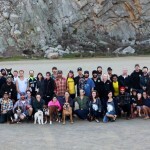 This year, Shaun and the other participants took off from San Francisco and ended in Morro Bay the following day. They covered roughly 220 miles in two days! Along the way people donated money and cheered on the athletes as they made their way south. The night they arrived there was a celebration at Creeky Tiki where everyone was able to meet the runners and bikers and show their support for the cause. 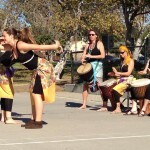 The following day was day in the park filled with activities like African dancing, volleyball, and fellowship. We even convinced Shaun to show us his dancing skills before the day was up! After all was said and done, Run the 1 raised over $15,000. The money is being used to help fund the home through the coming year and for future building on their land. Below is an note from Shaun, who is back in Rwanda for the first months of 2014. “…For everyone that had any part in this adventure at all, thank you. This event is becoming bigger than I could ever imagine and its because of so so so many outside efforts all coming together and adding a new level to everything. 220+ miles in 2 days. Congrats! 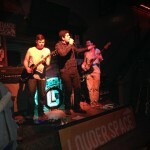 Louder Space performing at the celebration. Maggie McGrath (Left) and Allison Sellers (Right) helping support Run the 1 by selling raffle tickets. 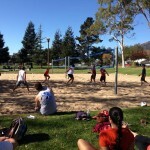 It was a beautiful day for some volleyball!